The gallium beating heart is a chemistry demonstration in which a drop of gallium is made to pulsate, like a beating heart. The gallium beating heart is similar to the mercury beating heart, but gallium is much less toxic, so this demonstration may be preferable. Place a drop of liquid gallium in a shallow dish. 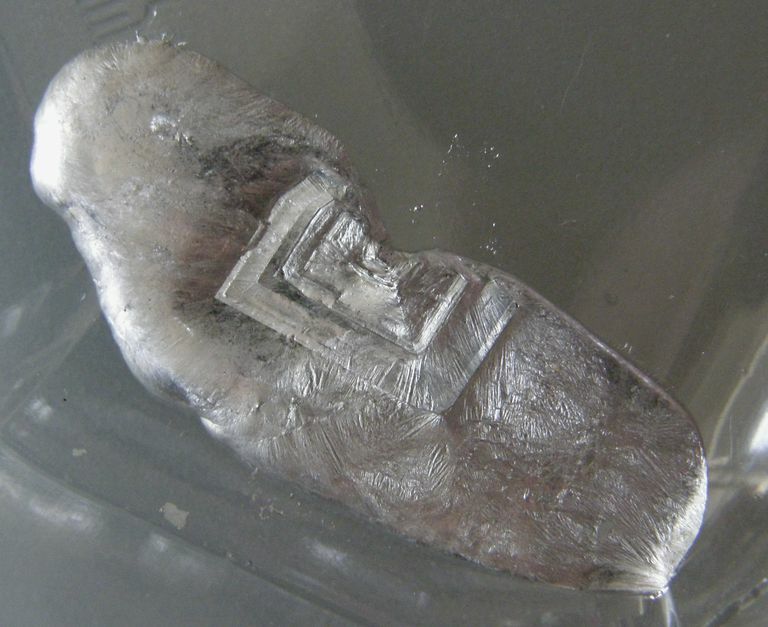 Cover the gallium with dilute sulfuric acid. The drop will round into a ball as gallium sulfate forms on the surface of the drop. Add a small amount of potassium dichromate. The gallium will relax somewhat as the sulfate layer is removed and the surface tension of the drop changes. If the proportion of dichromate with respect to the sulfuric acid is just right, the drop will alternate between round and relaxed, like a beating heart. Unlike the mercury beating heart, no iron is required to perform this demo, though the gallium heart beats more slowly. It can be tricky to get the correct amount of dichromate to get the gallium to pulsate, so start with a small amount of the chemical and add more as needed.